NPnews24 ONline: Pune – The officials from Pune rural police have seized bomb making materials, electric guns and sharp weapons from the house of a man who had earlier tried to kill his wife with bomb. The arrested accused has been identified as Rajaram Abhang (60), a resident of Pimpalwandi village in Junnar taluka of Pune district. 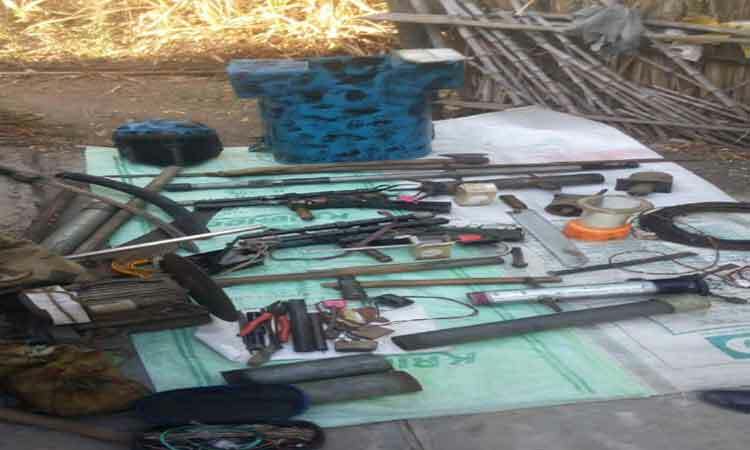 Acting on tip-off, a team led by Police Inspector Padmakar Ghanwat of the Local Crime Branch (LCB) raided a house in a farm belonging to Abhang. Police officials said that Abhang had procured materials used for making pipe bomb. According to police, in 2003 suspecting his wife to have extra-marital affair, he had tried to kill her and her paramour with bomb. But they had survived. An FIR was registered in this regard with Narayangaon police station. Police officials said that Abhang has studied till seventh standard only. They are investigating how he learnt bomb making. He has two sons who live separately. His wife also lives separately. The investigation is being supervised by Pune rural SP Sandip Patil, Add SP Sandip Jadhav.